Looking for a new machine to give you a full body workout? Want a machine with no assembly required? Have small spaces and want a machine that will fold for simple storage? Look into the Total Gym XLS. This machine combines all the aspects of a great workout into one simple machine. It’s a high-end piece of exercise equipment great for everyone. At $800, it’s half the price of any other full-body workout machine. When thinking about buying a new home exercise unit, don’t hesitate. 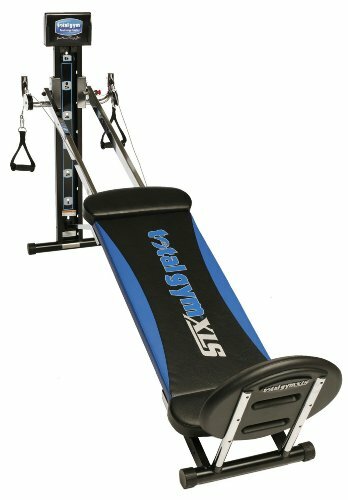 At $800, the Total Gym XLS is a steal compared to other high-end units. It provides a great full body workout at half the cost and it’s simple to set up. Designed with overall great parts and materials, the Total Gym XLS is well-built and well-designed. For people who don’t want to spend a lot of money on home gyms or don’t have a lot of space in their house, the Total Gym XLS is a perfect. It combines great cost and great quality with an amazing workout experience. If you’re in the market for a new home gym, don’t miss out. The Total Gym XLS is one of the best models out there.